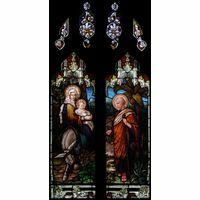 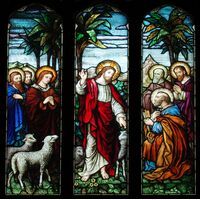 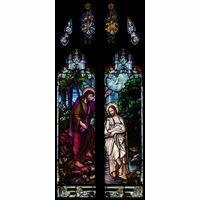 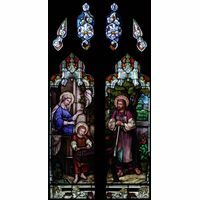 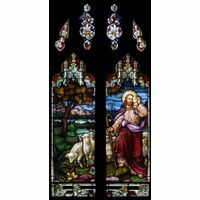 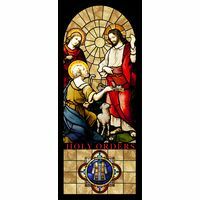 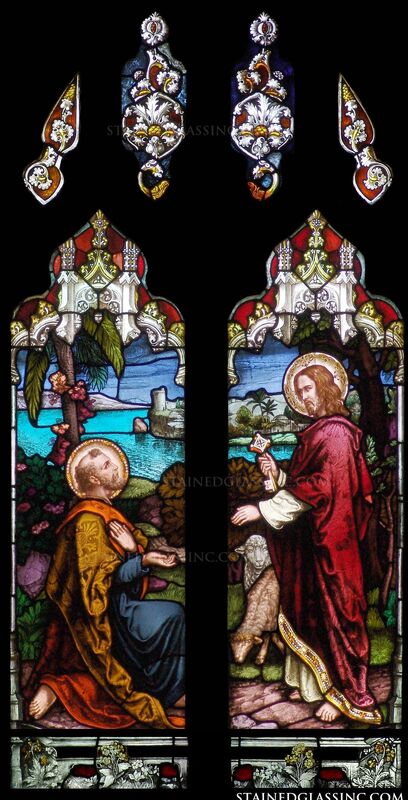 The beautiful pastoral background adds color and texture to these Christian-themed stained glass panels, which illustrate Jesus giving Peter the keys to the Kingdom of Heaven. 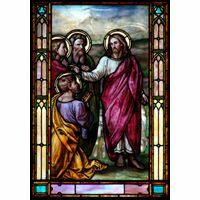 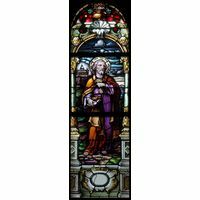 Highlights to this traditional stained glass arched panel include vibrant color, intricate patterns, and sophisticated shading. 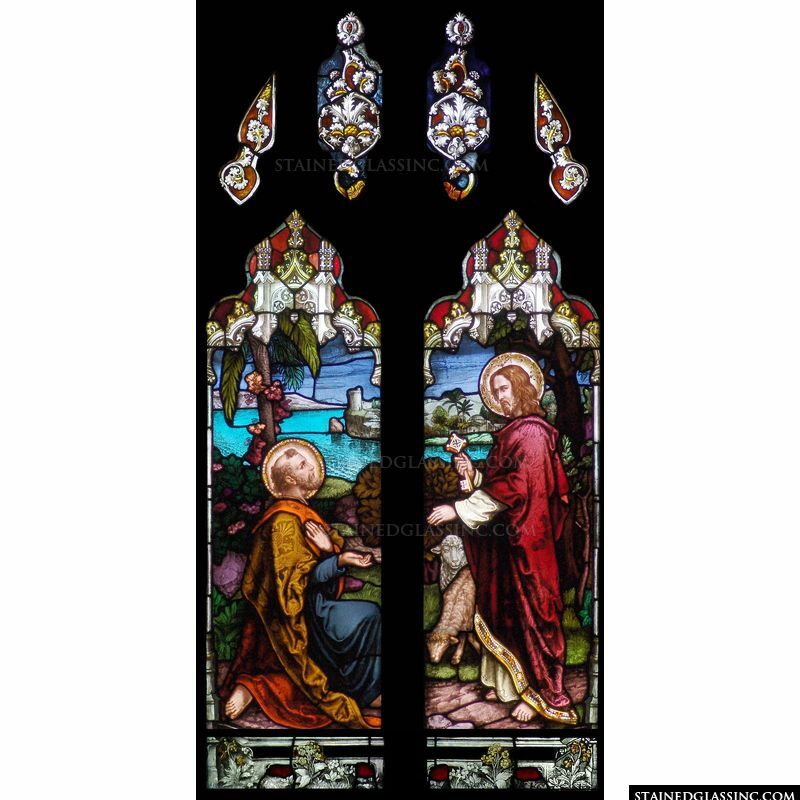 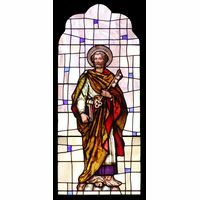 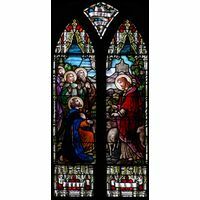 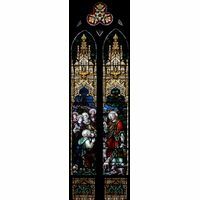 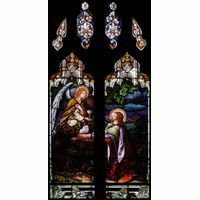 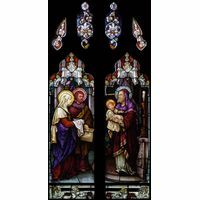 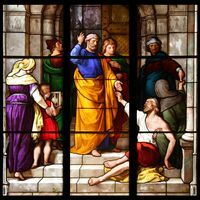 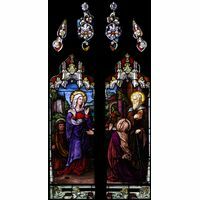 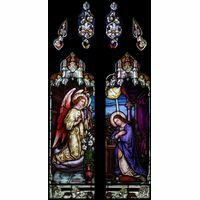 This cathedral-style design lends itself to being used as a stained glass window in a chapel, prayer room, or church.